Hoodie Allen appears Friday, Nov. 24 at Union Transfer. 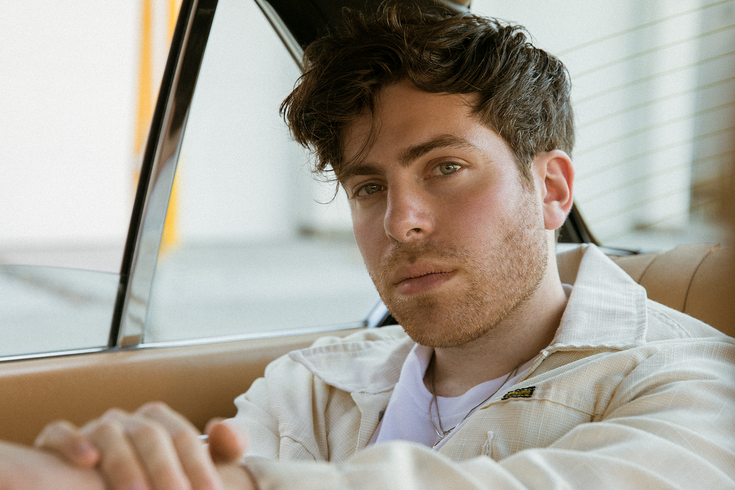 Long Island-based pop-rapper Hoodie Allen may have started his career in hip hop with dedication to his namesake, Woody Allen. Yet, almost a decade since his goofy, initial “frat raps” during an Alpha Epsilon Pi-hosted party at the University of Pennsylvania, and recordings such as “Bagels & Beats,” Hoodie has a different sense of his destiny. There’s no longer a need to just be funny for funny’s sake. Yet not exclusively funny, as he’s made his mark beyond the yuks with 2016’s “Happy Camper” album, its 2017 follow-up, “The Hype,” and a tour that brings him to Union Transfer on Friday, Nov. 24. Calling himself a sarcastic optimist, Hoodie has always maintained a career on the independent tip, releasing his own singles, EPs, LPs, and managing his own tours. When “Happy Camper” hit #1 on the independent charts, Allen could have written his own ticket to ride in major label land for “The Hype.” Instead, he decided to chart his own course, again. On his new album, “The Hype,” the man who once sang “I’m Larry David plus Miles Davis,” examined his life since 2012, and came up with everything from the slow blues of "Know It All" (“I just sort of turn off my brain and let my feelings sort themselves out”), to the hard-luck relationship story of “Running Circles.” Hoodie calls “Running Circles” a thesis statement for the rest of “The Hype” as if looking to pass a master class in rap lyricism. New opportunities or old, one thing that Hoodie Allen is famous for is being wildly identifiable and accessible to his fans – always willing to hang out and take photos after shows, always into the social media aspects of his business. Will that change with greater fame? Hoodie Allen appears Friday, November 24 at Union Transfer, 1026 Spring Garden Street. Tickets are $30. Show times are 8 p.m. nightly. For more information call, 215-232-2100 or click here.